I have 2 of them, with multiple inserts and all kinds of accessories. “hard boil” 9-10 eggs, and cook 8 chicken breasts for shredded chicken. The 8 Qt. is slightly larger and can cook more. See recommendations below based on family size. What does DUO vs. LUX mean? These funny letters have to do with the “tier” and cooking complexity of the model. The LUX only cooks in High Pressure mode, meaning it doesn’t have a low pressure option. It doesn’t make ice cream and it doesn’t connect with the smartphone app. It’s considering the economy model of the bunch. The 9-in-1 DUO also includes the cake and egg cooking function/settings. What does 6 in 1, 7 in 1, 9 in 1 mean? The 6-1 to 9-1 numbers indicate the number of cooking functions that the Instant Pot model has. DUO. Get a DUO. Just skip the LUX. If you already use your Instant Pot OFTEN and want something for smaller amounts of food (side dishes) so you can cook in 2 IPs at once, OR you are cooking for yourself or 2 people, you are good with the 3 Qt. or 5 Qt. size. If your family size is 5 or smaller and you are not feeding active teenagers, you are good to go with the 6 Qt. size. If your family size is 6 or larger and/or you are feeding active teenagers, I would get the 8 Qt. size. Skip the LUX and the 6-in-1. Go for the 7-in-1. If you can afford it and consider yourself and adventurous cook, then get the 9-in-1 model! The 7-in-1 DUO is the most popular model. So go with that and pick the size based on the family size recommendation above. Instant Pot DUO 3 Qt. Instant Pot DUO 7-in-1, 6 qt. Instant Pot DUO 9-in-1, 6 qt. Instant Pot LUX 6-in-1, 8 qt. Instant Pot DUO 7-in-1, 8 qt. I hope this helps you find the right Instant Pot! 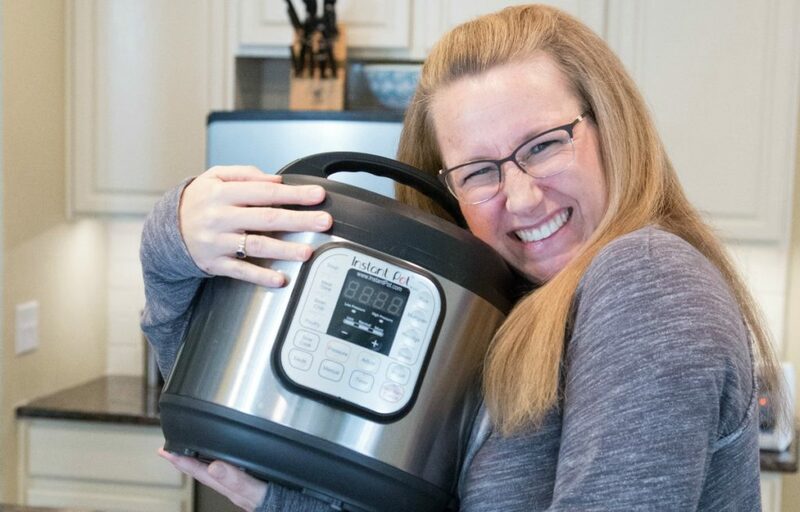 If you do hop on the Instant Pot Train and need help getting started using it and making a part of your regular cooking routine, you’re definitely want to going to sign up for my Electric Pressure Cooking 101 online class. It’s self-paced and you can go throgh the lessons at your own convenience online! Learn more and register here!